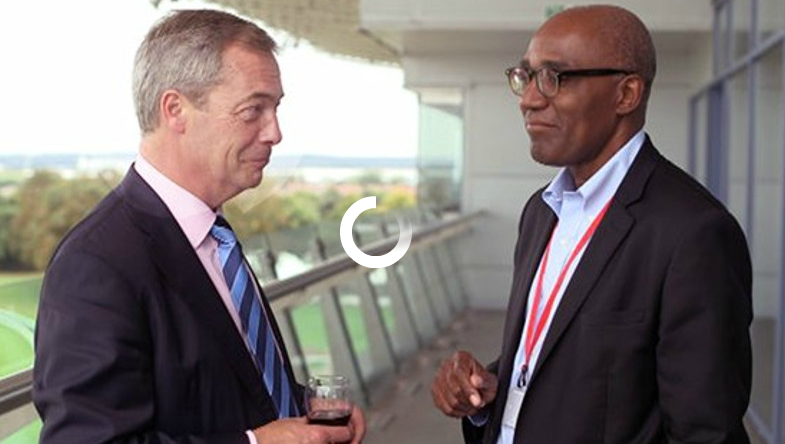 To look at Race in an equalist way, we don’t think we can do better than Trevor Phillips has in his Channel 4 programme: Things We Won’t Say About Race That Are True (first shown 19th March 2015 – click here to view it). Controversially but with huge experience and authority, in this 1 hour programme he uncovers how good intentions about ‘politically correct’ behaviour may have helped get us into a hell of a lot of trouble. Of course – as he expects – nuanced debate and wider views of ‘facts’ must follow the tight argument with very selective facts presented in this programme to make a particular point. Watch Adam Elliott-Cooper doing an excellent corrective on Trevor Phillips (in just 4 minutes)! When you are able to look at the data without obsessing about racial prejudice, or being afraid of being called racist, you can start giving help to those who most need it. That’s true equality. The most important lesson I think I’ve learned is that preventing anyone from saying what’s on their minds won’t ever remove it from their hearts. People need to feel free to say what they want to without the fear of being accused of racism or bigotry. It means that we are all going to have to become more ready to offend each other. But that way we might save some children’s lives, and we might protect some others from abuse. And in time finally we can begin to see each other in our true colours. That has been our conclusion here on equalism too as the way to combine the principles of equality with respect for differences. Effective equalist communication may need a grasp of steady reason with some giving and taking of offence. But there’s no need for offence to be gratuitous or some kind of duty. Trevor Phillips and his TV programme also provide a great model for how we can discuss complex and difficult matters in an open and robust way. Update: Trevor Phillips featured in the BBC Radio 4 series “Why I Changed My Mind” (27 Apr 2016). This personal and moving interview makes even clearer why and what he presented in the C4 programme. C4 TV programme 19th March 2015. Caption: For a diverse society to succeed, do we have to get used to giving and taking offence? Trevor Phillips: For 10 years I led Britain’s Equality Commission … Campaigners like me sincerely believed that if we could prevent people expressing prejudiced ideas then eventually they’d stop thinking them. But now I’m convinced that we were utterly wrong. In a world riven by racial and religious strife, some things are just too important to be left unsaid, even if they might offend people. (7.10) There’s no prejudice in numbers. I don’t think we should be put off talking about ethnic patterns of behaviour because of what bigots and racists might say. (15.20) None of these statistics [about race and crime – white specialty crime being drunk offences!] tells us why they’re true. But they are. I don’t think we should be shy about trying to find out what they mean. (16.15) Simon Woolley: The danger is when (the talking) gets too lazy and uses catch-all descriptions. .. If it’s nuanced then fine. But if it’s this headline “You’ve got to do something about black gangs” it’s dangerous. … I don’t think you have to fudge it, dodge it. You just have to be articulate about it, and if you are, you can talk about it as it is without having this generic stuff, this lazy stuff. … We just have to be mindful .. smart. (22.10) (Post 7/7 London bombing) So what had we all missed. … The ugly perversion of Islam that had led to this carnage would thrive only in isolated communities. .. The message was one nobody really wanted to hear … TP in Sept 2007: We are sleep-walking our way to segregation. We are becoming strangers to each other and we are leaving communities to be marooned outside the mainstream. (23.00) What I had realised that summer is that it’s not about what you want to believe, it’s about what’s true. .. The belief behind the New Labour mission was that if we could solve the problem of discrimination then racial barriers would come down, integration between communities would naturally follow. But we’d reckoned without human nature. Left to themselves people prefer segregation. .. Sunset segregation: We may often be workmates but at the end of the day we tend not to be neighbours. (26.30) Jack Straw: A lot of white politicians are nervous, lack confidence, about what their views are and think that someone will criticise them, call them racist. (27.00) People of Jack’s and my generation believed that if you got rid of discrimination Britain’s racial divisions would heal with multi-ethnic London leading the way. But it just hasn’t happened. [Well over half a million white Londoners left London as its overall population grew by a million.] After the riots in Paris, we urged Paris to end the Moslem ghettos. Ten years later Charlie Hebdo happened. Segregation didn’t cause that, but it is one of the conditions for extremism to thrive. (36.00) The rules of the (discrimination) game had changed and not entirely for the better. [Trevor as a child used to know the laws of race relations] 1. All blacks are alike. 2 All blacks are inferior. 3 All blacks are required to be subordinate and to know their place. Today few children black or white would accept those rules. .,. Martin Luther King … History shows that a noble set of aims just isn’t enough. … We start with good intentions, we turn those into a set of informal laws, and then they become dogma .. thought control, and worse. Unwittingly we gave birth to an ugly new doctrine that says 1. All whites are alike. 2 All whites are guilty and tainted. 3 No white person should ever criticise someone who is not white. (1.01.20) Whoever is in political power, tens of millions of voters across Europe think that the political elite favour the minorities at their expense. They also believe that if they say how they feel they’ll be called backward or bigots or racists or by the liberal establishment. … this is the raw power of the anger and resentment that Nigel Farage is riding. (1.04.00) When are able to look at the data without obsessing about racial prejudice, or being afraid of being called racist, you can start giving help to those who most need it. That’s true equality. The most important lesson I think I’ve learned is that preventing anyone from saying what’s on their minds won’t ever remove it from their hearts. People need to feel free to say what they want to without the fear of being accused of racism or bigotry. It means that we are all going to have to become more ready to offend each other. But that way we might save some children’s lives, and we might protect some others from abuse. And in time finally we can begin to see each other in our true colours. 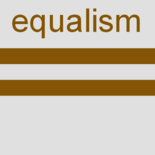 Mostly here on equalism.org.uk we have stayed out of the firing line of big politics, preferring to look at what we know in the frontline of personal discussions and practical services – how to make sure individuals listen and talk in an equalist way with respect for differences. This is not to deny that there is a burgeoning wider argument growing ever more interesting and heated based on a dominant view (in some quarters) of social justice as pursuing and removing all social oppression from all kinds of victim groups. There is a kind of competition now for who is the most powerful victim group within this social justice movement – who deserves to be most rescued by the rest of us who care, of course, about social justice. Certainly equalism is concerned about social justice. But, as we explained on the introductory blog, we don’t see how the removal of oppression is ever going to be successfully managed when the politics of doing it would inevitably entail the election or selection of an anti-oppressive group potentially deciding who to oppress in the cause of removing oppression from the favoured victim groups. One thing equalism here does value is our critical thinking and rationality. That is in the older sense of slowly thinking through the logic and evidence. There is a new meaning of ‘critical thinking’ to mean: criticise and attack anyone we think is an oppressor. So, here, under a blog about gender equalism, it seemed reasonable to post this link to four scientists with long experience of gender studies who argued that James Damore’s Google memo was at least technically right about the idea that Google’s extremely white and male staffing might be based on known gender differences. In particular, note Geoffrey Miller’s reasoning … about how the two core assumptions are diametrically opposed: That the human sexes and races have exactly the same minds … and also that: The human sexes and races have such radically different minds … etc. The point for us here on equalism.org.uk is that you cannot impose equalism on individuals by some ideological power. More than that, you need to recognise and find out the differences that need to be respected in order for equalism to work. This is best done by your best efforts at careful respectful discussion with an individual not by some group identity assumption that “all of ethnic group X are..” “all those of gender identity Y are …”. That is not easy to do. But if you simply impose some generalised ideology – any general ideology – you risk being the oppressor of those who don’t want what you’re imposing. In this case, if you frogmarch more women or more ethnic groups to work in Google because you’ve decided it is a good idea, then you have now become the oppressor of those you frogmarch in for your good cause. This entry was posted on 23 March 2015 by Nick Child in Culture, Equalism in general, Ethnicity, Race, Religion and tagged Equalism, Racism.